DETROIT – The San Francisco-based nonpartisan political crowdfunding startup Crowdpac announced it would hold a free boot camp Thursday, March 29 in Detroit. The aim is to teach citizens how to run for office and win in the digital age by using online fundraising. The program will feature a panel of experts who will walk citizens through the process of exploring a campaign using the latest technology that is helping thousands of candidates run for office across the country. The April 24 deadline for filing as a candidate in this year’s Michigan midterm election is rapidly approaching, but there’s still plenty of time for candidates to explore a run for office. 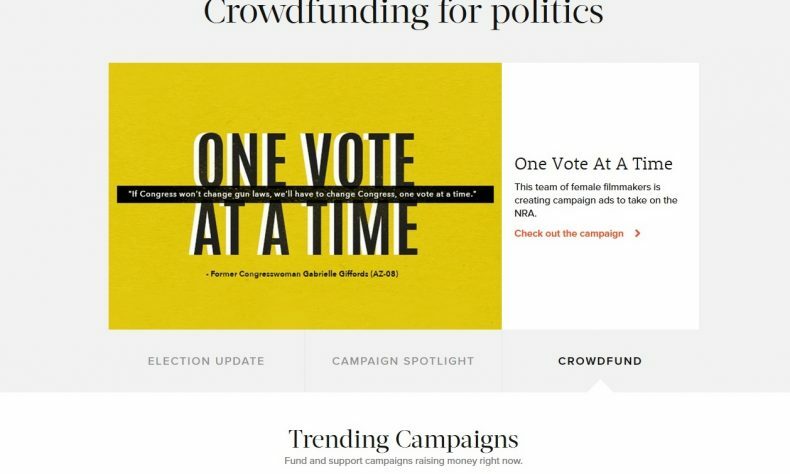 Crowdpac’s platform was recently profiled by NPR, Fast Company and Roll Call for the way it applies innovative crowdfunding technology to help first-time candidates fund their campaigns. Crowdfund Your Run for Office will be held at WeWork Merchant’s Row, 1449 Woodward Ave. in Detroit. Networking, drinks, and refreshments will begin at 5:30 p.m., followed by an interactive presentation and discussion from 6 to 7 p.m. While the event is free, space is limited and RSVPs are required to attend. Visit Crowdpac.com/detroit for ticketing information, or to learn more.